The Identification Technology Program (ITP) that supports the biosecurity organisation (APHIS) of the US Department of Agriculture has recently released a new Identification and Information tool – Exotic Bee ID. Like other countries, the USA has experienced a decline in some bee populations, due to habitat loss, pesticides, parasites and pathogens, as well as the introduction of non-native bee species. Exotic Bee ID has been designed to help those working at ports, state departments and extension services who monitor and intercept non-native bees in the US. It will also be of interest to non-experts with an interest in learning features important in bee identification. This key, also from the ITP team, is a major revision and update to the 2007 second edition. The worldwide trade in plants for use in aquaria and ponds is of considerable quarantine concern, particularly since many aquatic plants have the ability to disperse widely and become dominant in waterways, displacing native species. APPW e3 aims to cover all genera of aquatic plants cultivated commercially in nurseries and private collections around the world. Initially intended for officials at U.S. ports of entry and state departments of agriculture, this key is also useful to other biosecurity agencies and aquatic plant nursery managers, to help them become aware of invasive aquatic species in their stocks or among new acquisitions. This key can be accessed at https://idtools.org/id/appw/. Watch for the APPW e3 Lucid Mobile app version, due to be published later this year. The USDA APHIS ITP team recently announced a new searchable interface for pest identification support. Built in cooperation with North Carolina State University’s Center for Integrated Pest Management, Search ID Aids can be used to quickly find useful web-based identification and screening resources. ITP maintains an ongoing collection of ID Aids: high-quality web-based tools and apps that support identification of plant pests of concern to PPQ. Each ID Aid is thoroughly reviewed and evaluated to ensure it has value and is from a reputable source. This collection currently includes over 3,800 vetted ID Aids that are image galleries, fact sheets, screening aids, keys of all types, molecular tools, and more, and they cover all plant pest groups. Since we’re continually adding ID Aids, we also have a contact page where we welcome suggestions for pests to cover. With Search ID Aids both experts and novices can find suitable identification resources. Search by either scientific or common pest name, and then instantly filter your results. Find Search ID Aids at https://idtools.net/idaids/. Thripidae Genera from China. An identification and information system for 98 genera of the Thysanoptera family, Thripidae that are thought to occur in China. 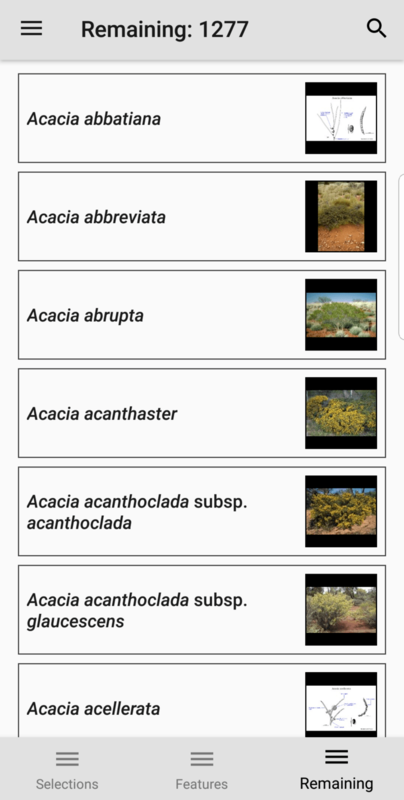 A new app – “WATTLE: Acacias of Australia” – will help provide an answer. Wattles (botanically called Acacia) have great cultural, environmental, scientific and other significance in Australia. Golden Wattle (Acacia pycnantha) is our national floral emblem and 1 September is celebrated annually as our official Wattle Day. A Wattle species is incorporated into the Australian Coat of Arms and the design of The Order of Australia medals, which recognise achievement or meritorious service by citizens, is based on a single wattle blossom. And who isn’t familiar with the “Green and Gold”, our official national colours proudly worn by many Australian sporting teams; these colours are taken from the predominant colours of wattle foliage and flowers. Most recently, different species of wattle are featured on the new currency notes that are being released by the Reserve Bank of Australia. Wattles are by far the largest group of woody plants in Australia with over 1000 species currently recognised. These species are important to the environment and represent a resource for both social and environmental utilisation. However, to be effectively managed and used, the species must first to be correctly identified. The naming of wattles was greatly simplified in 2001 with the publication on CD of an electronic identification key called WATTLE; this key was subsequently updated and made available on the web in 2014. Now we have the WATTLE App, a revised electronic key that was released on Wattle Day this year. This key retains the best characteristics of earlier editions of WATTLE but includes more species and adds features that make species identification easier and more accurate. The WATTLE App can be downloaded to an Android/Apple smartphone or tablet. No phone or Wi-Fi connection is required to use the key, making it especially valuable for people working in the field. 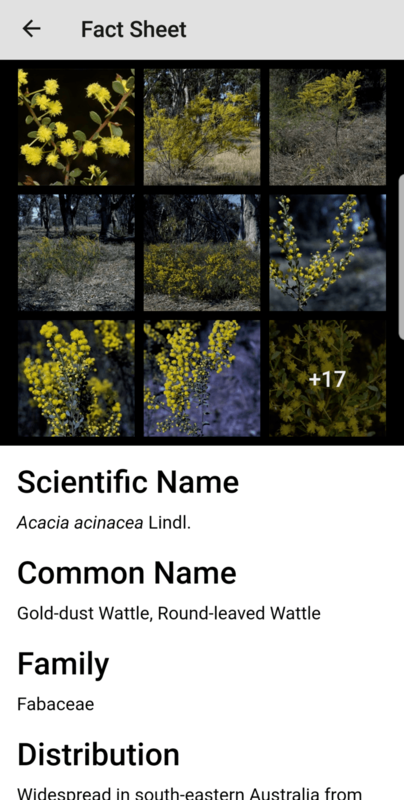 The WATTLE App is therefore a very useful tool for researchers, conservationists, amateur botanists, horticulturalists and indeed, for anyone interested in naming wattles, either within Australia or in other countries where wattles are found. Like its predecessors the WATTLE App uses the powerful Lucid program that helps to make the naming process quick, simple and reliable. To name specimens users answer a few simple questions regarding morphological features of the plant they are trying to identify – its leaf form, flower details, etc. – or where the plant is found in Australia. Based on answers to questions Lucid progressively removes species from a list of 1270 different kinds of wattle, leaving just a few or a single wattle that the specimen is likely to be. 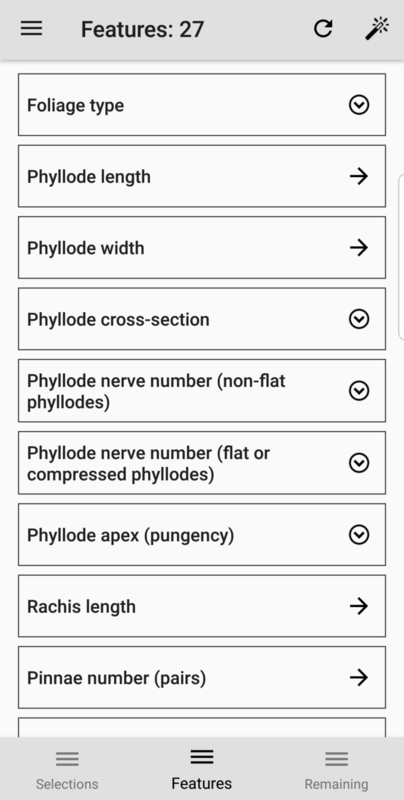 The WATTLE App incorporates images and text to help users understand and correctly interpret morphological features of their plant. Similarly, most of the 1270 different types of wattle included in the key are accompanied by line drawings, photographs, maps and the most recent descriptive information, all of which help users confirm the identity of the plant they are trying to name. 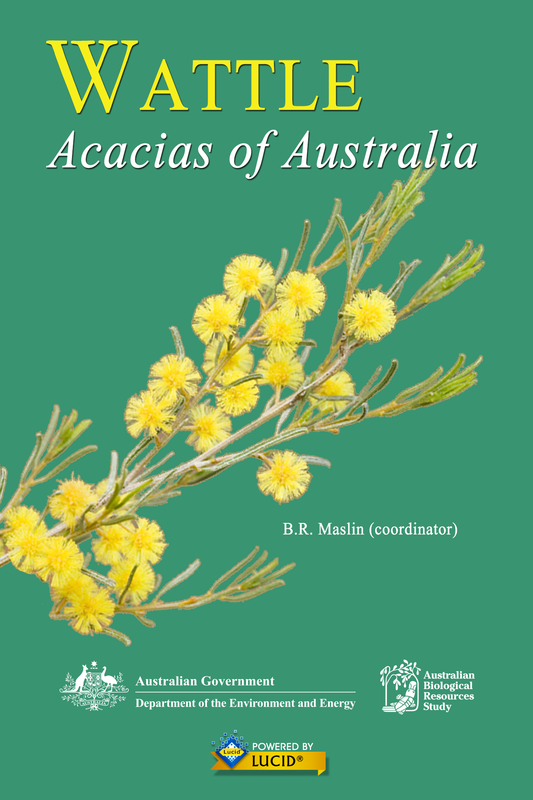 The WATTLE key has been developed over the past 20 years or more by Bruce Maslin, assisted by many other Australian botanists. Funding to support the development of the these keys, and the WATTLE App, has been provided by the Australian Biological Resources Study, IDENTIC, the Atlas of Living Australia and other agencies. The Android and Apple versions of the WATTLE App can be downloaded from the Google Play and iTunes app stores respectively on payment of $9.95 to help fund further content updates and software upgrades. 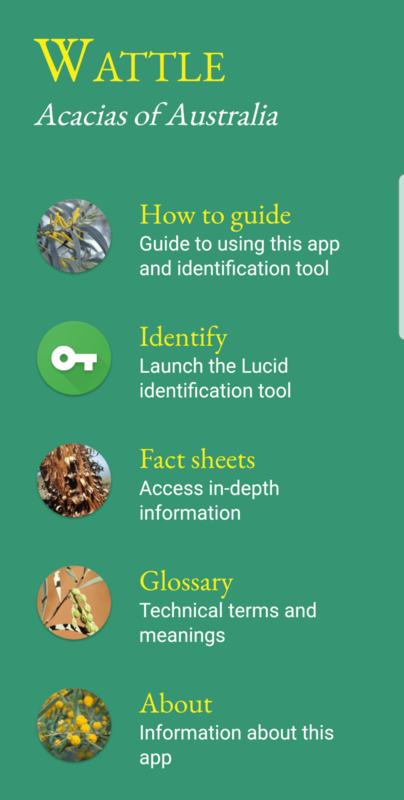 Similar Lucid Mobile identification apps include “Rainforest Plants of Australia: Rockhampton to Victoria” (released) and “Snakes of Australia” (due for release later this year) [See www.lucidcentral.org]. Click here for the online edition hosted at Lucidcentral.org (no additional software or plug-ins required).